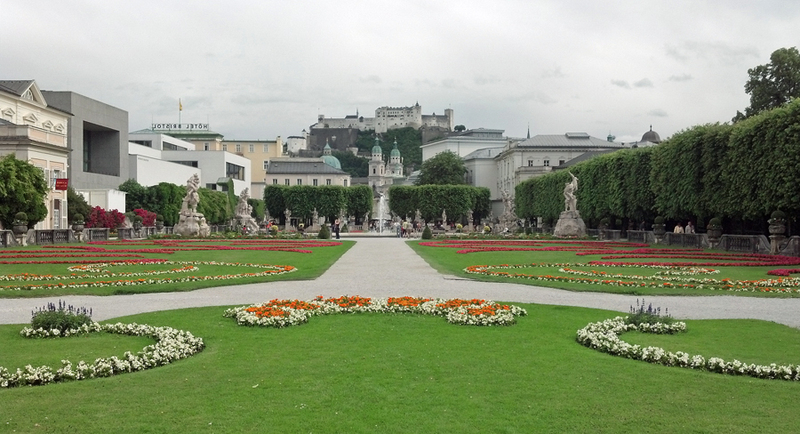 While music is always in the air in Salzburg, Austria, it wasn’t really meant to be that way. Once one of the world’s most famous composers was born there, and a popular musical was set and filmed there, it just sort of happened. There’s no doubt the city embraces its musical past, and that’s what makes it a music lover’s paradise. Music in Salzburg begins with Wolfgang Amadeus Mozart. 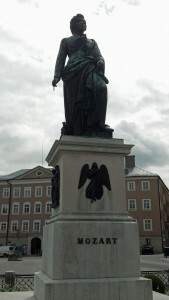 The influential composer was born in Salzburg on January 27, 1756. He started composing at the age of five in his home, which is right in the heart of Old Town Salzburg. Mozart’s birthplace (Mozart’s Geburtshaus) still exists, and is now a museum (located on Getreidegasse — a popular street/shopping area in Salzburg). 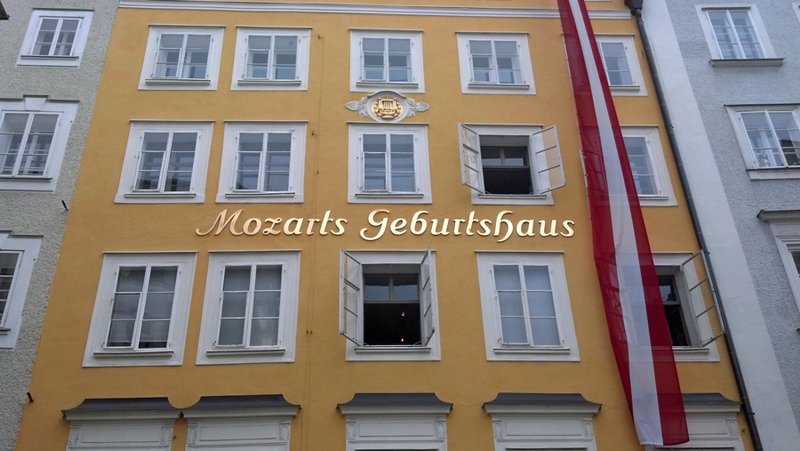 More than 220 years after he died, Mozart’s presence is still everywhere in Salzburg. There’s Mozartplatz, the Mozarteum, and a Mozart statue. The home where Mozart lived as a teenager is another museum. The list truly goes on and on. A trip to Salzburg is obviously a must if you’re a fan of Mozart or classical music. This place is a haven for folks just like you! However, Mozart is only one of the reasons Salzburg is a music lover’s paradise. The other is The Sound of Music. The famous Broadway musical and 1965 film is centered around the real life von Trapp family, who lived in Salzburg. Much of the movie was shot in or around the city, so there are still relics scattered everywhere, including the ‘Do-Re-Mi’ steps, the Pegasus fountain, and many others (which are all found in the incredibly beautiful Mirabell Gardens). 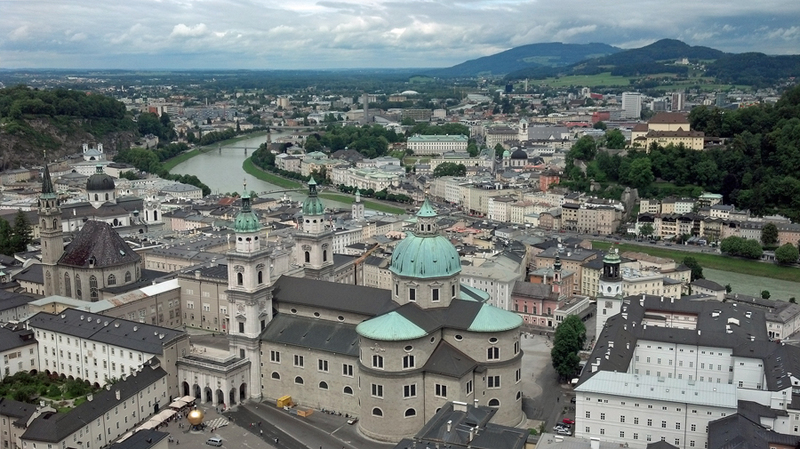 A popular activity in Salzburg is taking a Sound of Music tour. Depending on what tour you go on (there are several), it will cost you about €40. Despite the price, The Sound of Music tours are consistently rated as one of the best sellers in Salzburg. I only had one day in the city, so I didn’t have time for the tour. I heard some of them are really well done, but it sounds like others are pretty cheesy. The Sound of Music tours are promoted everywhere in the city, so simply ask around (your hotel is a good place to start ) for the best tour in town. It feels like everyone wants to get in on the music in Salzburg. Music is truly everywhere in the city. Street musicians fill the streets with their accordions and violins. I also heard birds singing outside, bells chiming at all the different churches, the glockenspiel in Residenzplatz, an old man lightly singing a tune while walking across the bridge, and a stranger who randomly burst into song in an operatic voice at the bus stop. Seriously — I heard all of this when I was in Salzburg (in one day). Heck, even the police sirens sound like music there. To be honest, I even ended up whistling as I romped around the city, and I don’t have a musical bone in my body. It’s really easy to get grabbed by the music in Salzburg. The best option is to just let it sweep you away. Have you ever visited Salzburg? Can you suggest a good Sound of Music tour? I would love to hear from you! Simply leave a comment below or connect with me on Twitter, Facebook and/or Google+. Don’t forget to check out Seattle Bloggers for more awesome international travel ideas!